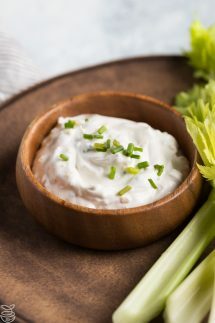 French onion dip is a classic American dip even though it says ‘French’ in the title! It’s usually made with a packet of Lipton’s Onion Soup mix but my version is made with my homemade Onion Soup Mix instead which means you know exactly what the ingredients are. 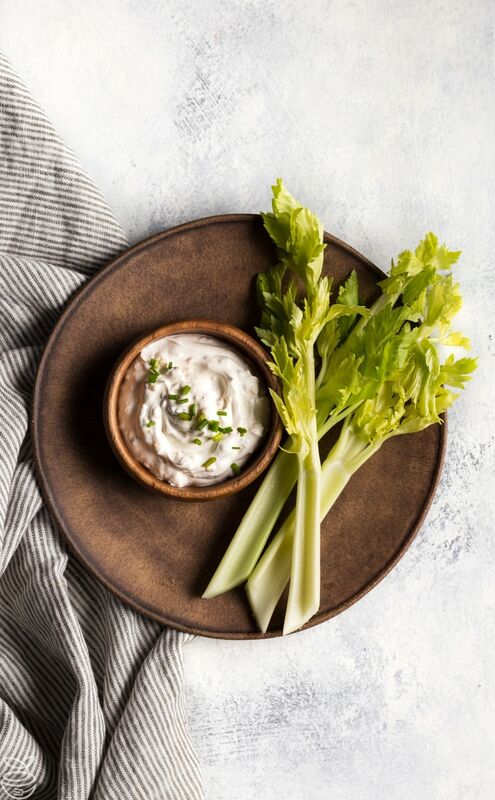 It’s a healthier appetizer that’s also low carb, keto friendly coming in at only 1g net carbs per serving, and it tastes a whole lot better than using a packet mix! 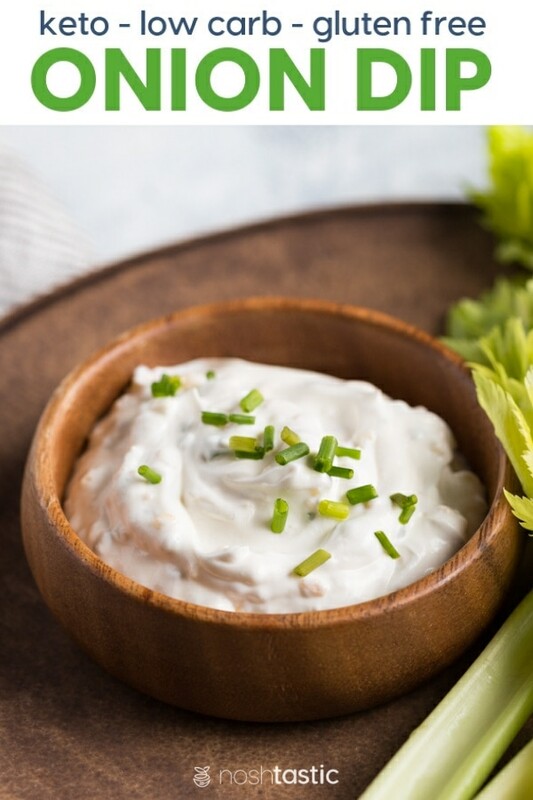 Start by assembling your french onion dip ingredients, you’ll need sour cream, mayonnaise, my homemade dried onion soup mix, and some fresh chopped chives to boost that wonderful onion flavor. Measure out two tablespoons of the onion soup mix and blend it together with the sour cream and mayonnaise and mix until it’s smooth and well combined. Then chop the fresh chives, dried simply don’t taste as good, and mix them in as well. 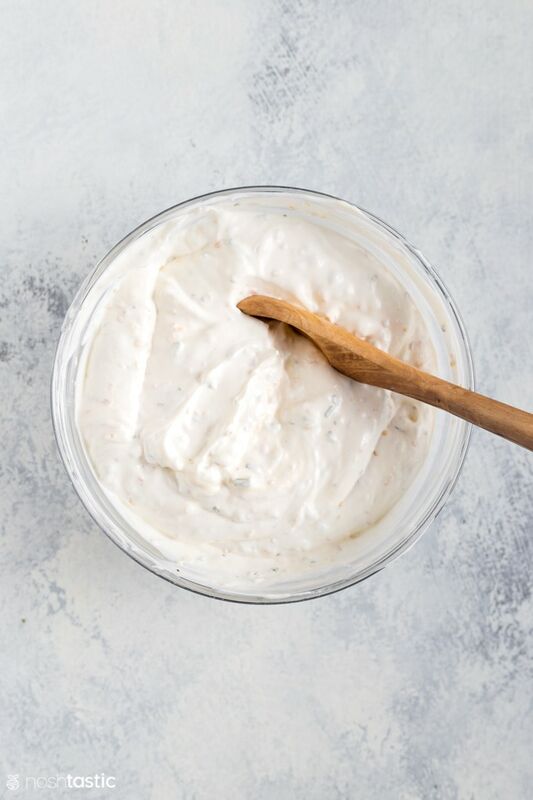 You really need to leave this for several hours in the fridge (and preferably overnight) to allow the flavors to permeate your onion soup mix dip, and to allow the dried onion flakes to soften properly. 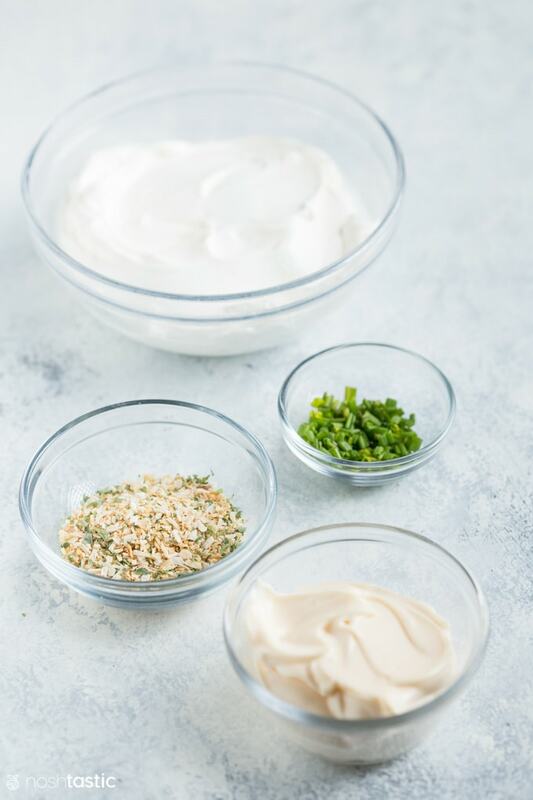 Mix sour cream and mayonnaise together in a bowl. Add two tbsp of my homemade dry onion soup mix and stir well to combine. If you want you can add a little crumbled gluten free beef bouillon, I was not able to find any locally that was gluten free so I did not add any. This dip is MUCH better made ahead, at least a day if possible to give the flavors time to develop and allow the minced dried onion in the soup mix to soften over time.